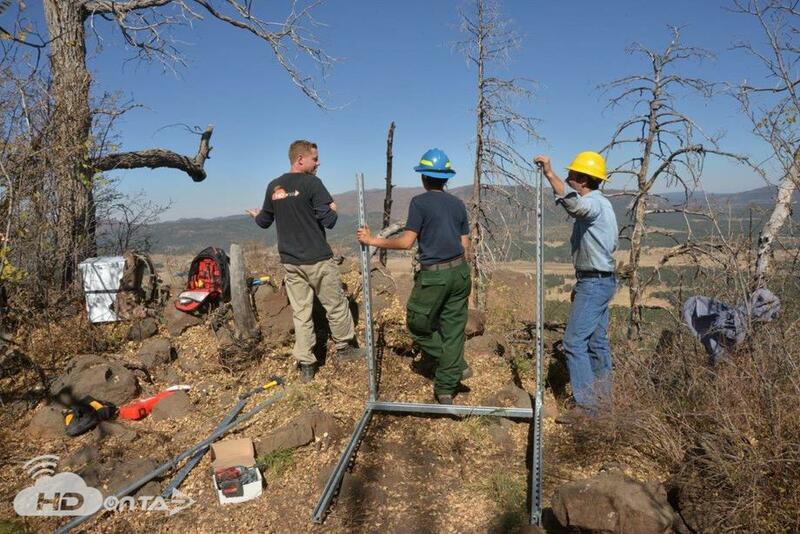 HDOnTap designed the wireless network needed to extened internet connectivity approximately 5 miles from the source of the circuit. 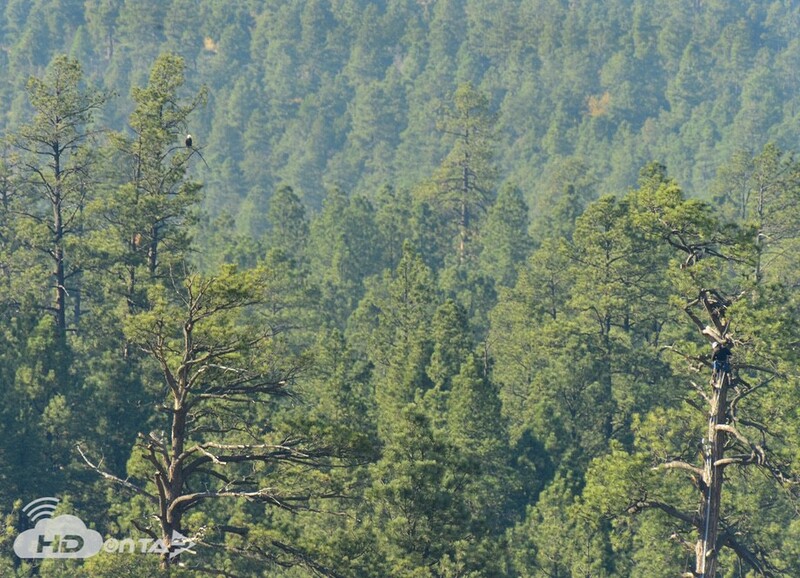 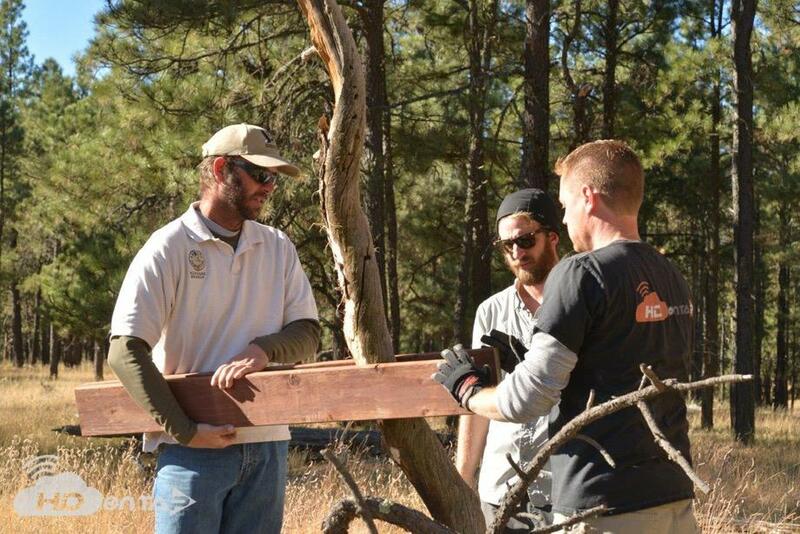 HDOnTap designed, built and installed a live streaming Bald Eagle Nest webcam in the remote mountains of North Eastern Arizona for th earizona Game & Fish Department. 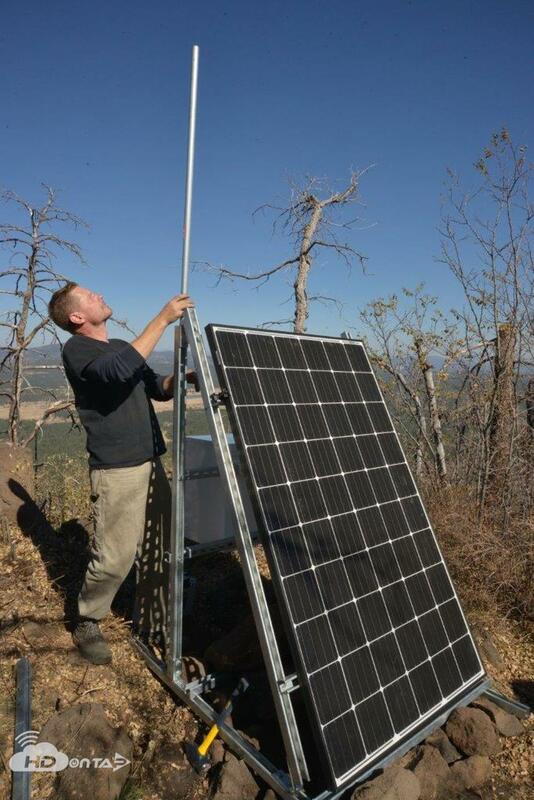 This system required a relay point to be hiked deep into the moutains in order to extend the internet circuit to the nest location. 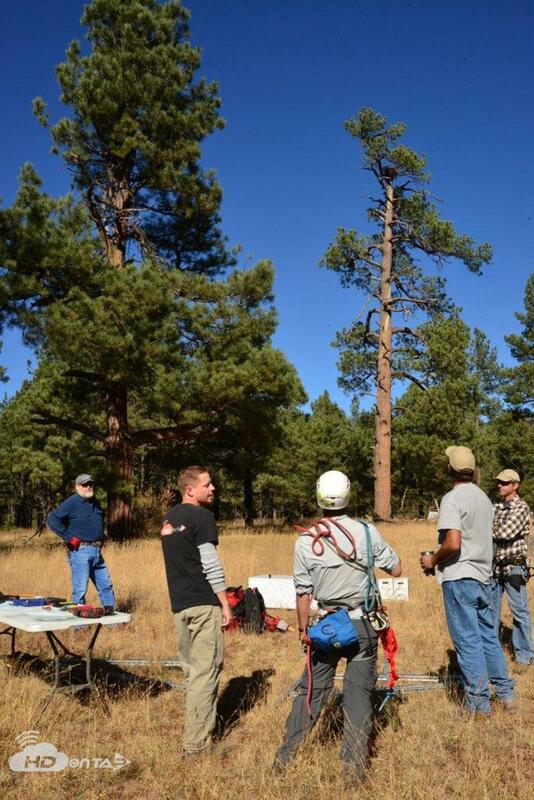 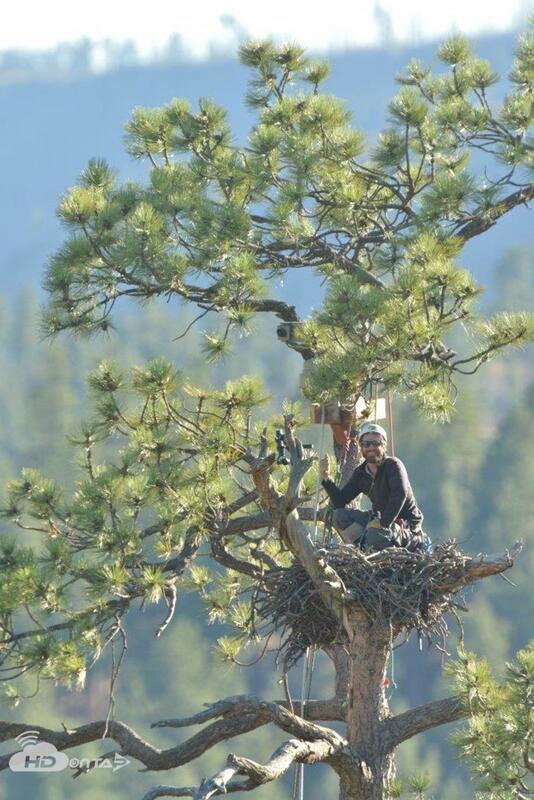 AZGFD Raptor Biologists performed the 100 foot tree climb to install the camera above the Bald Eagles Nest. 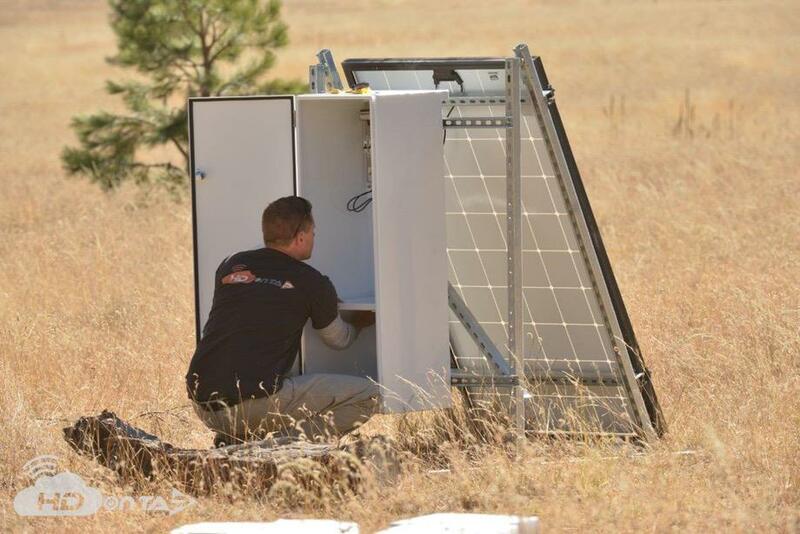 Designed & built by HDOnTap, the off-grid power system powers the camera system, wireless radios, audio and infrared lighting.